More than forty years ago, an American doctor and scuba diver wrote about St. Vincent and the Grenadines in a medical journal, mentioning seagulls flying over the crystal blue waters. Shortly after reading this article, Dr. Sam Massey, an ear, nose, and throat (ENT) specialist, was invited to explore the island for himself. Co-owner of Young Island Resort, Dr. Frederick Ballantyne, a cardiologist by trade, served as the country’s Chief Medical Officer at Kingstown General Hospital, now known as Milton Cato Memorial Hospital. Dr. Ballantyne is always eager to welcome specialty doctors to visit St. Vincent and the Grenadines, and assist in areas where there is a need. Dr. Ballantyne informed missionary Dr. Orville Browne of the need for services from an ENT specialist. 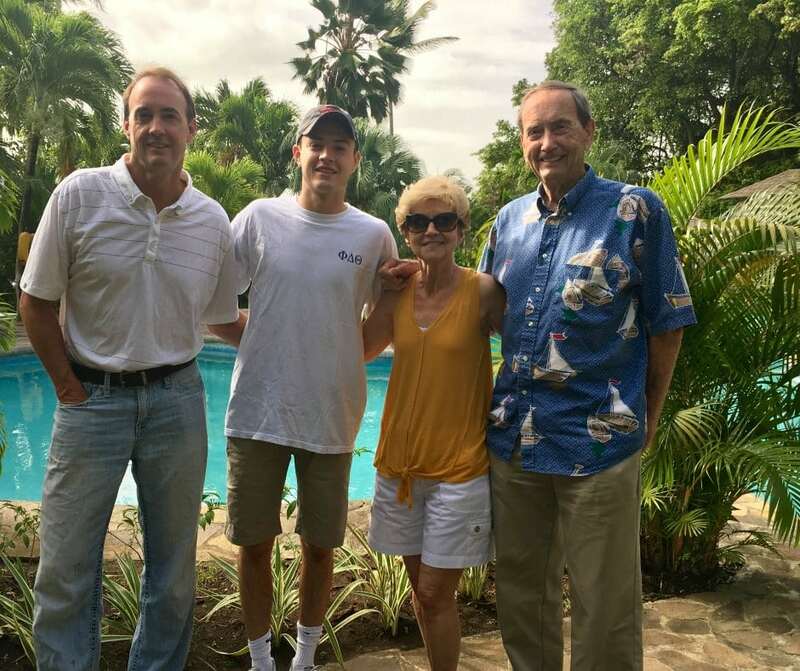 This led Dr. Browne to contact Dr. Massey who, together with optometrist Dr. Bob Fisch, decided to start a medical volunteer mission to St. Vincent and the Grenadines. The first mobile medical mission took place in 1980 including the services of Dr. Massey and Dr. Fisch along with ophthalmologist Dr. Eric Purdy who was brought on board with other volunteers who ran clinics organized by the Lions Club of St. Vincent. On the medical missions, the U.S. based doctors and volunteers conduct eye exams, fittings for eye glasses and perform eye surgeries. The goal is to provide proper medical care for persons throughout St. Vincent and the Grenadines who would not otherwise have the means to pay for a doctor. Today, the team consists of ophthalmologists Dr. Kathy McCabe, Dr. John Dagianis, and Dr. Warren Sobol along with optometrist Dr. Joe Chambers. The Mobile Medical Mission has served in 20 different countries including Cuba, Haiti, Jamaica, Dominica and St. Vincent and the Grenadines. Throughout the years, there have been approximately 60 missions to St. Vincent and the Grenadines with up to three visits per year. Every year, the Mobile Medical Mission pays to have thousands of used eye glasses (sourced by United States Lions Clubs) shipped to the Lions Club of St. Vincent and the Grenadines to have the eye glasses stored for use during the annual missions. Over the years, the families of Dr. Massey, Dr. Purdy, and Dr. McCabe have joined the team by providing support services at the clinics. Dr. Massey, who now considers himself to be the Mission’s “cheerleader”, has had three generations of Massey’s on the team. Apart from himself, his son Dr. Chip Massey, a neuroradiologist, and his grandson, Sam Massey, have all been volunteers. The owners of Young Island recognize the value of this medical mission, and for the past forty years, Young Island has supported the Mobile Medical Mission by offering concessionary room rates to the entire team. Longtime team members consider Young Island to be their “home away from home” and look forward to connecting with the resort’s longstanding staff every year. At the end of each day, as they board the resort’s ferry to return to the island, the mission team knows they will be met with warm, welcoming smiles.